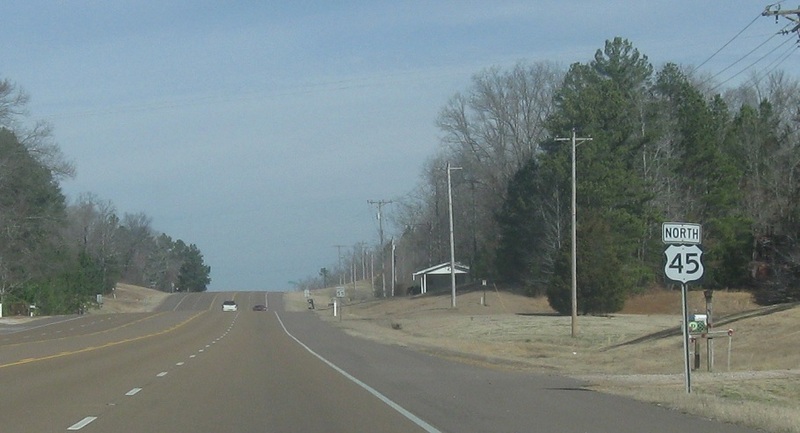 Reassurance shield after the 57 junction. 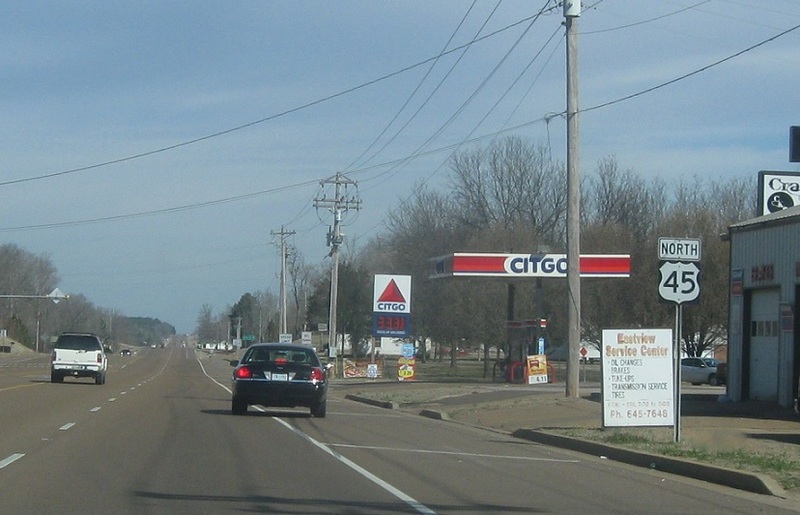 Reassurance shield a few miles later. Eastview is kind of like Island Park, Idaho in that it is just a long stretch of highway that is randomly part of a city without ever having much of a town. 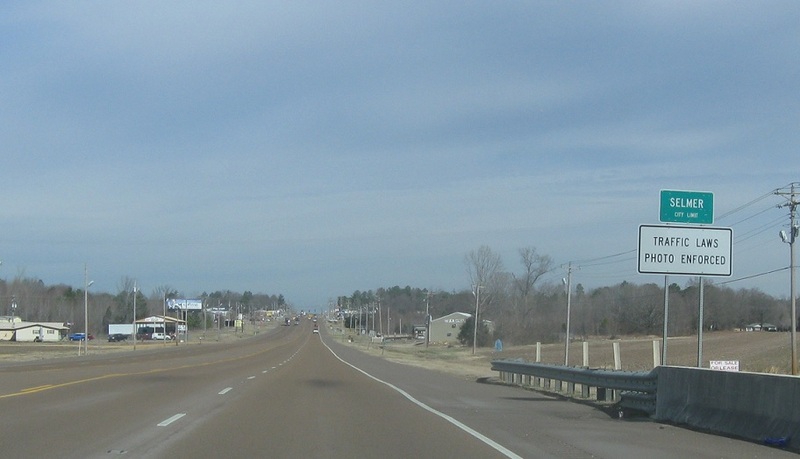 About a mile later, we’ll enter Selmer. 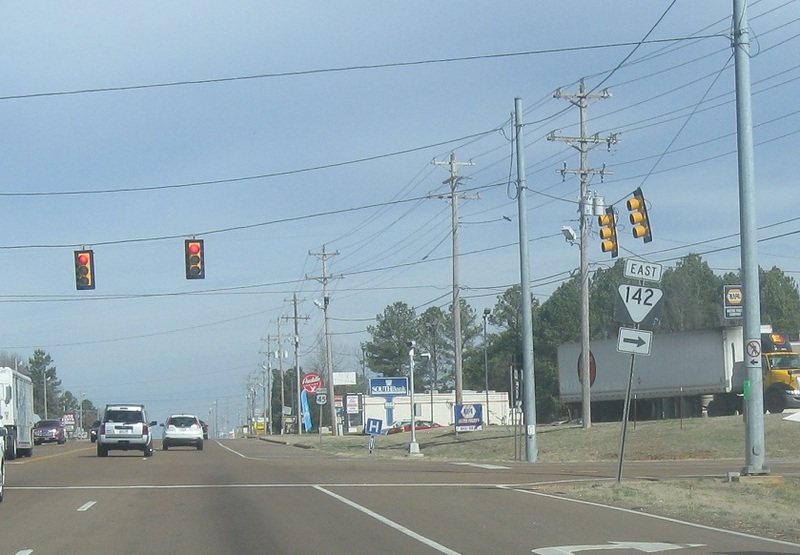 In Selmer, we’ll approach SR 142. 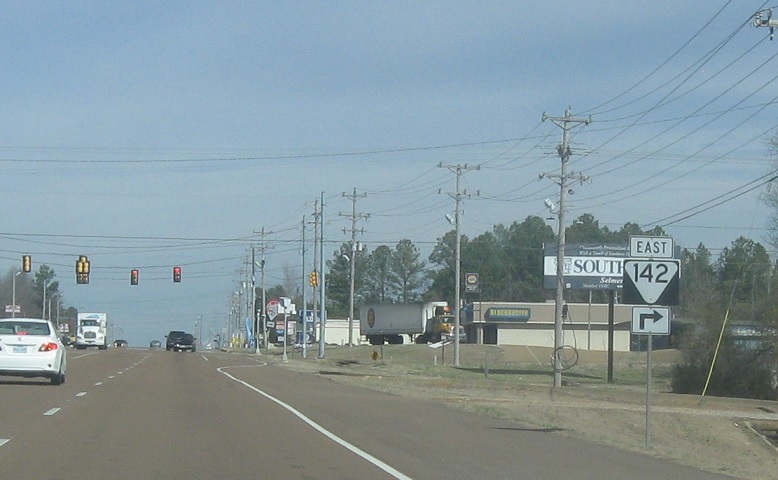 Turn right at the light for SR 142. 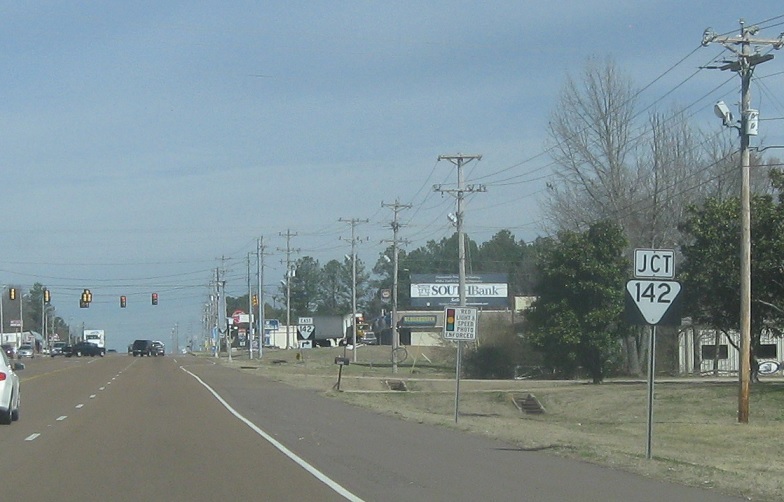 SR 142 heads east towards Stantonville.